Around half-a-dozen societies in the city have got the go-ahead for self-redevelopment from the Maharashtra Housing and Area Development Authority (MHADA), an official said. The Mumbai District Central Cooperative Bank (MDCCB) is also encouraging the initiative by extending loans for the task. The MDCCB has also sanctioned loans to eight societies, a MHADA official said, adding that around 500 housing societies have shown the interest in re-developing their old flats. Over 30,000 residential buildings in the megacity are 30 to 80 years' old and in need of re-development. Saidham society (building No. 149) at Pantnagar in suburban Ghatkopar has secured 80 per cent approval of works from MHADA and the Brihanmumbai Municipal Corporation (BMC). The society's secretary, Shripad Mordekar, said, "Our building is 52 years' old and has 32 members. We have got an offer letter from the MHADA for re-development and will submit it to the BMC soon. After re-development, each house owner would get a 1,000 sq ft flat against the present 220 sq ft."
Some builders were offering 484 sq ft flats to the society members, "but after self-redevelopment each one of us would get a bigger flat," he said. The society's plan is to build an 18-storey building with Rs 58 crore loan from a cooperative bank, he added. In the self-redevelopment of an old building, the society's members reap the construction bonanza which was earlier enjoyed by the builder. The housing societies appoint their own project management consultants, architects and contractors to execute the project. The state government had last year hiked the floor space index (FSI) for redevelopment of MHADA societies from 2.5 to 3, paving the way for more built-up area in flats. 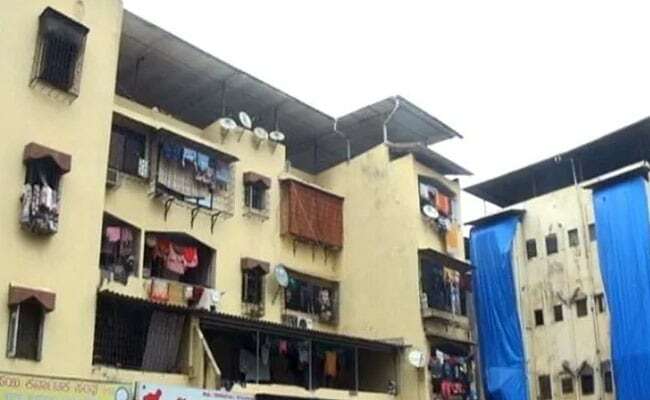 The Chembur-based Chitra Co-operative Housing Society has also decided to go for self-redevelopment after securing permission for it from the agencies concerned. The society's secretary, K B Kadam, said they will start the construction work in the next four months. "Our 12-member society was offered 550 sq ft flats each by a builder against the present flat area of 400 sq ft. But now we are going to redevelop the apartments on our own and each member would get a flat of 1,300 sq ft and Rs 38 lakh corpus fund," he said. Ajit Kumar, the secretary of a Goregaon-based housing society, lauded the MDCCB for supporting the residential complexes in their efforts for self-redevelopment of flats. "Our construction work is about 80 per cent done, thanks to the MDCCB which offered us a loan of Rs 8 crore for redevelopment," he said. This would not have been possible without the bank's help, as builders had refused to redevelop the building citing the small size of the plot, Mr Kumar said. When contacted, state housing minister Prakash Mehta said the government wants societies to come forward and take the initiative of self-redevelopment. "We are there to lend all support within the framework," the minister said. Housing activist Chandrashekhar Prabhu, who had launched a campaign for self-redevelopment some years back, said several builders have stalled re-development projects across Mumbai, leaving house owners in a lurch. He claimed that some builders have lost credibility, prompting the societies to take up the re-development work. "I am confident that more and more societies will come forward to reap the benefits of self-redevelopment," the former MHADA president and town planner said.